Michelle de Vries has had a glittering career in the music industry, both in London and New York. She has worked in the publishing, management, production, broadcasting and recording sectors, and brings a unique combination of talents and experience to her role as a music supervisor. Michelle has an extensive knowledge of music and can work in any genre. Her background, contacts, and creative flair mean she can bring the music to life in any project. She has the skills and talent to manage the entire musical ecosystem, including research, spotting, licensing, clearing, commissioning composers and artists, and recording new works. She works on-time and on budget and is a music supervisor in the true sense of the word. Much awaited Shaun The Sheep 2, Michelle sourced and licensed tracks as well as approaching, contracting and producing, along with Michael Smith, new songs with established artists. British 3D stop-motion animated comedy produced by Aardman Animations is due for release Autumn 2019. Working with Joe Pearlman and David Souta on the Fulwell production Michelle sourced and licensed non-Bros tracks and hired and oversaw the composers, David Rowntree (Blur) and Ian Arber, as well as clearing the music rights required, including musicians and Bros tracks. The documentary feature about the pop band Bros, documents the rise and fall, relationship, rehearsals and preparation for the sell-out reunion shows at London’s O2 Arena. The show marks 28 years to the day since their last performance and has been nominated for three BAFTA Awards. Sourcing and Licensing tracks for this historical documentary about the early years of Motown featuring interviews with Berry Gordy, Stevie Wonder, Smokey Robinson and legendary Motown Writers and Producers which is due for release later this year. 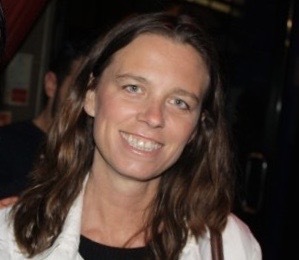 Michelle also hired the Composer and had access to the original Motown stems working closely with the Editor and Director to incorporate them into the score. She also was in constant contact with UMG USA with regards to the accompanying soundtrack album release. Working with the Southbank Centre to license and clear the music for the exhibition. Clearing and licensing tracks, working with the director on a tight budget to secure the right songs, managing the recording and production of a track for the end credits featuring Kylie Minogue. Ongoing music supervisor and consultant on their wide range of productions. Fulwell is best known for their shows, “Roast Battle”, “Training Days” “Carpool Karaoke” and “Drop The Mic”, as well as producing “The Late Late Show” for James Corden in the USA. Engaging the Composers and completely oversaw their score. Cleared and Licensed the non-score tracks. Procured soundtrack release with Kobalt for the score album. Shortlisted Composers for the Director and sourced, cleared and licensed tracks within a tight budget. The soundtrack received much acclaim and was nominated for the UK sync awards. Sourced a deal with Warp Records for this soundtrack, sourced and licensed tracks on the label that was suitable for the film’s inclusion and engaged the recording artists, Plaid to write the score. Sourced and contracted the Composer and oversaw the score and music licensing. Engaged the electronic artist Ital Tek to write the score and sourced and licensed all tracks for the film, managing to get some notable names on board in the DJ world. Sourced and licensed the tracks for the film soundtrack and engaged the artists the Strypes and also Jake Bugg to record new tracks for the film. Sourced and licensed tracks for the film and liaised with the Composer, Guy Gross. Sourced and licensed all songs from the 1920’s/30’s that were in the film. The songs were then re –recorded a with a jazz band and the producer Marius de Vries. Hired all the musicians and oversaw the recording sessions at The Strongroom Studio, London. Michelle worked with the Music Director, Marius de Vries and together they arranged the auditioning thousands of Citibank employees all over the world and then chose a song that they could all perform together. The Music Director then recorded the several hundred participants in various studios all over the world and compiled a track along side the video editor resulting in a multi-award-winning video. Michelle arranged all of the recording sessions worldwide. Cleared and licensed music for the film. Michelle was asked to replace thirty-seven music cues in the TV show within six hours for the client as there was an issue with the music they had sourced themselves and the programme was going out that night. She engaged a composer to rewrite several cues and sourced all replacement tracks and delivered the soundtrack with two hours to spare! Michelle researched new releases and up-and-coming bands. She also booked the weekly guests plus researched the games in the show that were based on musical general knowledge. Michelle worked as A&R to this notable publishing company in both the New York and UK office. She signed successful songwriters and pitched their tracks to film and TV and for advertising. She was A&R for various well-known bands and songwriters and many of her clients went on to have worldwide success as songwriters with award-winning songs recorded by artists such as Michael Jackson, Brandy, and Christina Aguilera. Other Projects Co-founder of the Charity Star Boot Sale in which we raise funds for the IRC to help refugees in Syria and Jordan – £200,000 raised so far. Michelle was born in the Bahamas, largely brought up in London and attended Queens College in Westminster. She has travelled extensively throughout Africa and the Middle East and contributed several chapters for the definitive book about the Kuwaiti resistance during the Gulf War, The Edge of War, as well as writing pieces for international magazines. She’s a keen photographer, a human rights activist and member of Amnesty International.